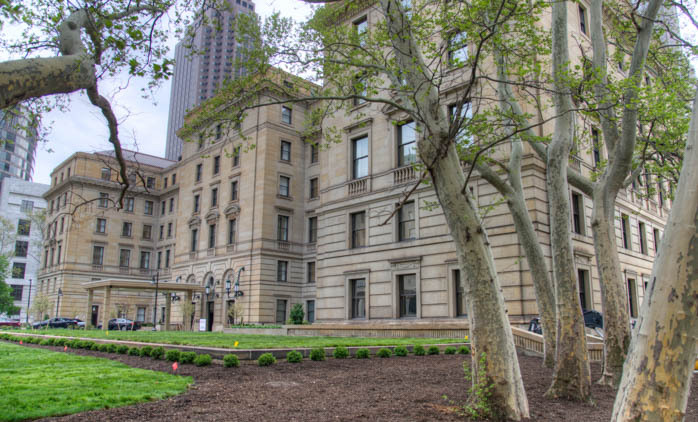 As the official conference hotel is now sold out, we have secured an additional block of rooms at a reduced rate of $150.99/night (plus taxes) at the Drury Plaza Hotel Cleveland Downtown. Please see the Hotel page for details on booking procedures. Don’t forget to register for the 17th National Conference on Planning History, to take place in Cleveland, Ohio, on October 26-29, 2017. SACRPH conference registration is now open! Registration is now open for SACRPH’s 17th National Conference on Planning History, to take place in Cleveland, Ohio, on October 26-29, 2017. Please check the conference website over the coming weeks for updates on program details. We hope you will join us! The Transportation Research Board (TRB) has issued a call for papers on “The History of Bicycle Transportation and Planning” for its next annual meeting. See the attached CFP for further details. Discounted hotel rates for the next SACRPH conference are now available for booking. Please see the conference website to place your reservation. The Princeton-Mellon Initiative in Architecture, Urbanism, and the Humanities seeks two fellows for the 2017-18 academic year (deadline May 12, 2017); and the John Nolen Research Fund invites applications for research funding to examine the John Nolen Papers at Cornell University (deadline April 30, 2017). See the Job Listings page for further information. New full-time positions–including tenure-track, pre-doctoral, and post-doctoral opportunities–have been posted on the Job Listings page. SACRPH officers and Board members condemn the Executive Order signed by President Donald Trump on January 27th banning entry to the U.S. for non-citizens from seven predominantly Muslim countries. We are also alarmed by recent official statements targeting other groups such as LGBTQ, Dreamers, immigrants and women.